The most effective leaders excel in this category. We can think of many leaders who have been strong in the other three competency categories, but a failure in personal character brought about their demise, such as Richard Nixon and Ken Lay (Enron). Most character failures bring about the resignation or reassignment of the leader, such as in these examples. 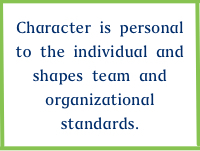 However, even the perception of poor personal character can have a dramatic effect on a company or organization. Leaders need to take the competencies in this category very seriously because failure in them can have far-reaching and dramatic effects. Courage. Leaders are often in situations that require courage – not the same or as intense as those that first responders or soldiers must face, but difficult and stressful just the same. Difficult decisions must be made that have an impact on others. Sometimes difficult conversations must take place regarding performance or an employee behaving poorly. The courageous leader prepares for these situations and handles them with calmness and resolution. Followers expect their leaders to be courageous and make the difficult decisions or take the difficult actions. Credibility. Leaders must have strong personal and professional credibility. Without credibility, followers will come and go and most will not do their best. 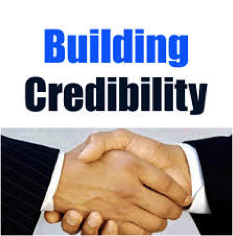 Credibility does not just mean the number of degrees you have attained, or even the number of years experience. Credibility is the perception of others and their attitude toward you based on your actions. The most effective leaders are proactive in developing both their personal credibility and professional credibility. Professional credibility is much easier to maintain than personal credibility; simply by being proactive in professional development. Personal credibility grows when a leader’s actions are in alignment with what they say – and they are honest and follow through. Followership. All leaders are also followers and often we are required to follow multiple leader or colleagues. Effective leaders must be flexible in balancing their role as a leader with their responsibilities as a follower. Following is not passive; it is an agreement to yield to another person or group, even if you do not agree. Initiative. When leaders show initiative they make things happen. Initiative means looking beyond the immediate task and taking action on things beyond what is required. Initiative is about going the extra mile for the benefit of the team or organization. It is not about meeting goals or doing a job, it is about exceeding goals and taking the additional steps. Initiative is a key competency in determining who gets promoted in an organization. Integrity. Integrity is the foundation of every successful organization. The integrity of a business is only as good as that of its people. A failure of integrity poisons an organization, and everyone suffers. Acting with integrity is a choice that each leader needs to make. For most, it is an easy decision. Your personal integrity is of paramount importance to your career. Leaders not only have a responsibility to operate in integrity themselves, but also to insure that their team members do as well. 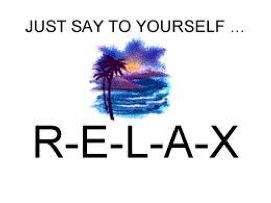 Stress Management. Many leaders are in stressful positions. The demands of the job can also exacerbate stressful situations at home, leading to more stress than a normal person can handle. But, leaders are looked upon as examples in stressful situations and followers must see a calm leader who makes decisions and leads others through difficult situations. A leader who panics will spread that feeling to others and drag down the whole team. The most effective leaders manage their stress by using personal techniques and striving for a strong work/life balance. Additionally, they are able to gauge the stress within the team and organization and identify causes, needs, and solutions to improve the overall health of the culture. Effectively managing individual and organizational stress gains big payouts in achieving positive results. Trust. New leaders must work hard to establish trust with their direct reports, their leadership, and their customers. Trust is earned by being consistent in how we behave and honest in what we do. It can take a long time to establish trust, but it can be lost in a second if the leader makes a misstatement or engages in deceitful, dishonest, or other wrong behaviors. Leaders must constantly be aware that they are “under the microscope” and act accordingly so that trust is maintained. These 7 competencies for personal character are critical to the leader’s long-term success. Continually monitor how well you are doing in each competency and especially seek out and listen to feedback from others in these areas. Adapted from The Leadership Compass: Mapping Your Leadership Direction. Take a short online self-assessment of the competencies described in this blog to identify your strengths and areas of improvements in these 7 competencies.